What Are the Different Types of Natural Stone Masonry? So, you’ve decided to add natural stone to your home. Maybe you and your spouse have chosen fieldstone or granite, agreed on the exact location of your structure, and picked out complementary furnishings. But why do you find yourself getting different mockups from individual contractors and companies? The problem is that stone masonry is a broad term. 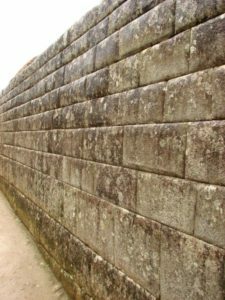 As a textbook definition, it only refers to stone units bonded together with mortar. This meaning doesn’t cover methodology, an aspect which can radically alter the appearance of a natural stone structure or façade. Don’t worry! You won’t need years of expertise to understand the various construction styles (besides, we’ve got you covered in that department). Let’s go over the different kinds of stone masonry, so you can attain your ideal home environment. There are two primary types of stone masonry. And many, many subtypes. Rubble Masonry – As you might’ve inferred from the title, rubble masonry uses undressed or rudimentarily dressed stones that resemble building rubble. This style was one of the earliest forms of stone masonry, and can be seen in both ancient structures and modern, rustic homes. Due to the variability of natural stone’s shape, wide joints are often used to compensate for a lack of uniformity. While not necessarily as structurally sound as other forms of masonry, rubble masonry provides eye-catching texture and pastoral charm. Ashlar Masonry – A more expensive form of natural stone masonry, this type requires finely dressed stones that are level with each other and mostly homogenous. 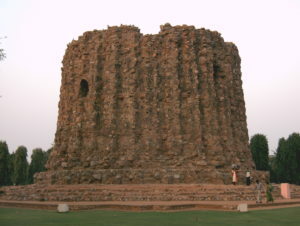 These stones are then laid in cement or lime mortar, in the style of a traditional brick structure. The refined shape permits thinner joints, which are subsequently applied with a uniform thickness.Ashlar masonry is more common in towering monuments, architectural buildings, arched bridges, and more. Finely dressed stones usually have right-angled edges running parallel to each other. What are the main subtypes of rubble masonry? Random Rubble Masonry – So, this kind of rubble masonry is not random per se. In fact, stones have to be chosen with meticulous precision in order to fit together properly. The reason? They’re completely undressed (“raw” from the ground), or knocked into rough shape with a hammer. Though raw materials are cheaper as a result, the process requires more time to ensure pressure is distributed over the maximum amount of lateral area, while avoiding long vertical joints. Square Rubble Masonry – Square rubble masonry still has that rough-hewn look which all rubble masonry shares, but the face stones are squared (approximately) via hammer or chisel dressing. They can be coursed – a term referring to lining up the horizontal joints evenly throughout a structure – or uncoursed. Coursed square rubble masonry is more common than uncoursed, often employed in the construction of public building, hospitals, school, markets and government institutions. Polygonal Rubble Masonry – Do you enjoy variety and complexity? Polygonal rubble masonry might be a good fit for your home or business. In this subtype, stones are hammer dressed into an irregular, multi-faceted shape with straight sides. This style is most commonly associated a number of Central and South American ancient civilizations, such as the Incans and Mayans. It’s regarded as a strong, resilient building method, since it contains trace elements of the arch – a shape known for its tensile strength. Dry Rubble Masonry – Essentially, this is random rubble masonry without mortar. It requires a sizable amount of expertise with little reward, since dry rubble walls are prone to falling over. We don’t recommend building a dry masonry structure over six meters. What are the main subtypes of ashlar masonry? Rough Tooled Ashlar Masonry – In rough tooled ashlar masonry, the bed and sides are chisel-dressed, so as to be smooth and even. Then the face is made rough with various tools. The result is a visually-striking, coarse surface with the strength and uniformity of a brick structure or wall. Rock-faced Ashlar Masonry – Also known as quarry-faced ashlar masonry, this method is similar to rough tooling, except a chiseled strip (around 25mm wide) spans the perimeter of every stone. The rest of the face is left as it was found at the quarry. 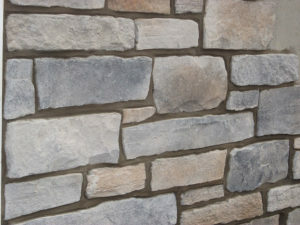 Chamfered Ashlar Masonry – Chamfering the edges of stone adds a degree of dimensionality to stone. The perimeter of the exposed face is chamfered at an angle of 45 degrees to a depth of 25mm. Fine Tooled Ashlar Masonry – One of the more cost-prohibitive options, fine ashlar masonry necessitates each stone be cut into a uniform size and shape, mirroring a rectangular prism. This allows perfect horizontal and vertical joints with adjacent stones. While it’s easily one of the most beautiful types of ashlar masonry, the style has fallen out of favor, due to its relative expense and the prevalence of artificial stone. Specializing in extensive masonry repair and rejuvenation, Cirigliano Masonry serves home and business owners throughout the Pittsburgh area. From design to build, as well as complete restoration options, rely on us for Stone Masonry, pointing and repair. We also offer general masonry, stone repair, and more. Designing with Masonry | Cirigliano Masonry - Pittsburgh, PA on Masonry Structures in the U.S.A.